Ooh, the latest October Daye book came out yesterday! I really enjoyed this series from Seanan McGuire and the previous book was just soooo good. I can’t wait to get my hands on this one! 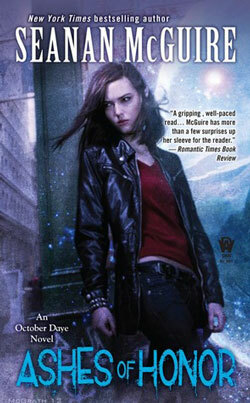 Ashes of Honor by Seanan McGuire is available on Amazon.co.uk for £5.03 and on Amazon.com for $7.99.